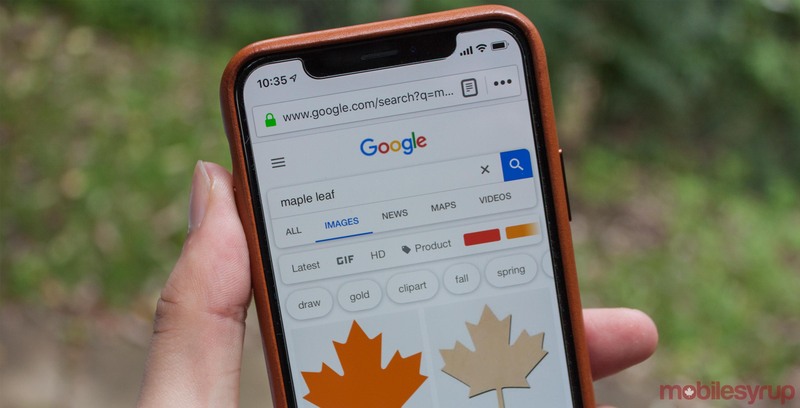 According to an October 10th, 2018 Federal Court filing, the Office of the Privacy Commissioner of Canada (OPC) wants legal help in determining PIPEDA’s scope when it comes to dealing with search engines like Google, as well as an individual’s right to request that search engines de-index results generated by searches of a person’s name. Indexing refers to the practice of including webpages and links in search results. In essence, this means that journalistic publications, like MobileSyrup, can’t be fined under PIPEDA for using a legal adult’s real name during regular reporting. At the same time, PIPEDA prevents organizations from disclosing personal information without obtaining consent first. What’s not made clear under PIPEDA is whether digital organizations that provide access to third-party sources that contain personal user data — like Google linking to news websites — are allowed to disclose links to websites that include personal details like names. The complainant told the OPC that Google refused to remove news articles that appear in search results when his name is searched. “The complainant alleges that the news articles in question are outdated, inaccurate and disclose sensitive information such as his sexual orientation and a serious medical condition,” reads an excerpt from the OPC’s filing. According to the OPC, Google added that if PIPEDA were to apply to its search engine, the act of de-indexing webpages — removing links from search results — would be unconstitutional. “The resolution of the reference questions will determine whether the OPC can proceed with the complaint investigation,” said the OPC, in its filing. It’s worth noting that the OPC’s October 10th court filing bears some similarities to Google Spain’s right-to-be-forgotten case in the E.U. After all, both cases specifically deal with Google’s ability to de-index search results. From a more abstract perspective, both cases also pertain to a search engine’s responsibility when it comes to search results that link to the third-party sources. Of course, a core difference between the two cases — other than places-of-origin — is that the OPC wants a ruling on PIPEDA’s governance of Google’s search engine, rather than the abstract concept of a search engine’s general responsibility for the information published by third party organizations that are included in search results. Privacy Commissioner Daniel Therrien has previously spoken publicly to advocate for the right to online reputation. According to the OPC, the document’s goal isn’t to import European laws into Canada. “Rather, it is an interpretation of current Canadian law, and the remedies related to online reputation that can be found therein,” reads an excerpt from the Draft OPC Position on Online Reputation. The OPC’s paper was created as a result of the Office’s consultations on online reputation launched in January 2016. “Many have likened the so-called ‘right to be forgotten’ to removing the cards from a library card catalog while leaving the books on the shelf. However, on the Internet, there are no shelves to browse, no way to walk through the stacks and follow the alphabet to the information you seek.